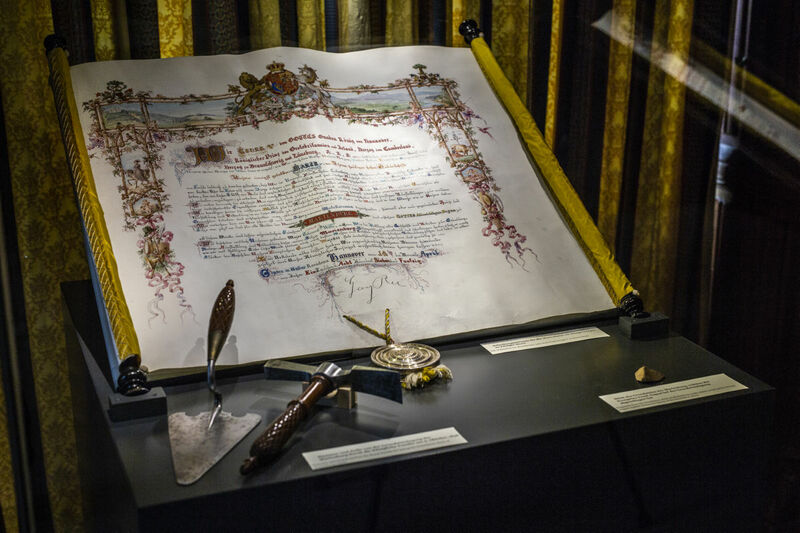 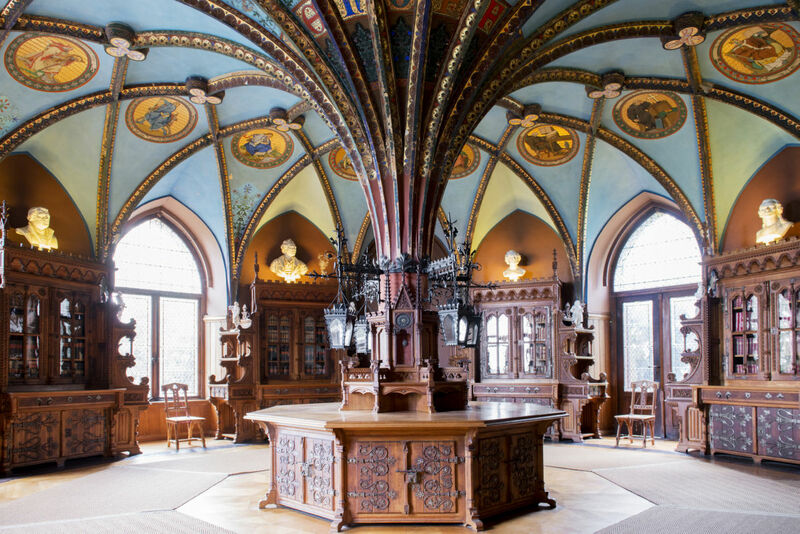 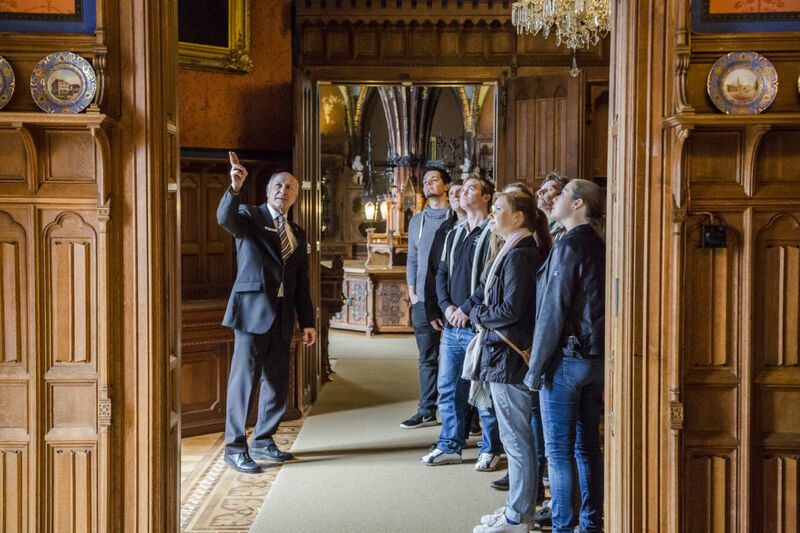 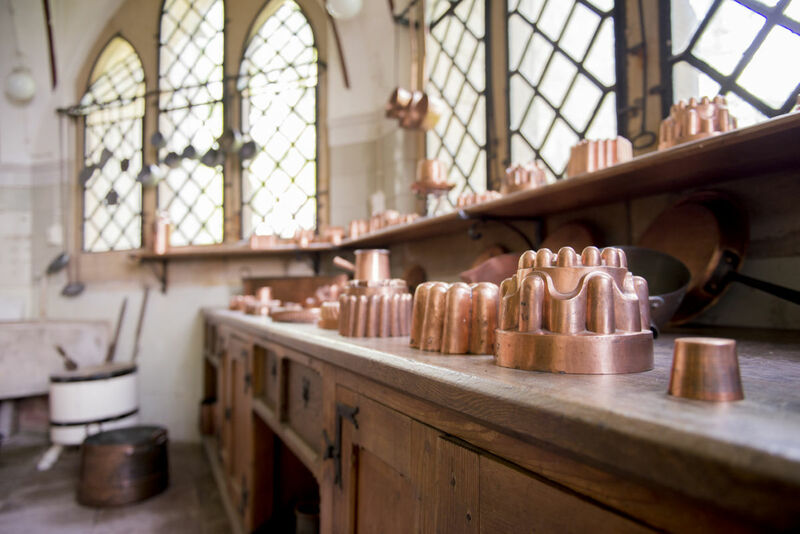 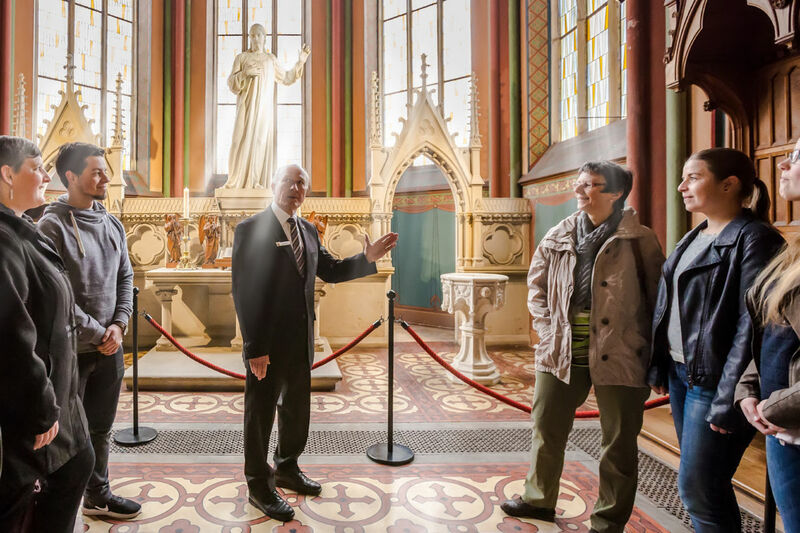 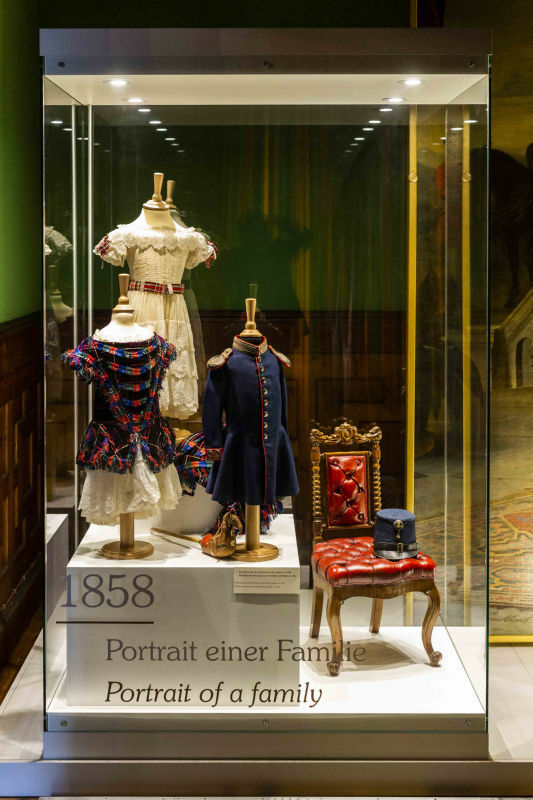 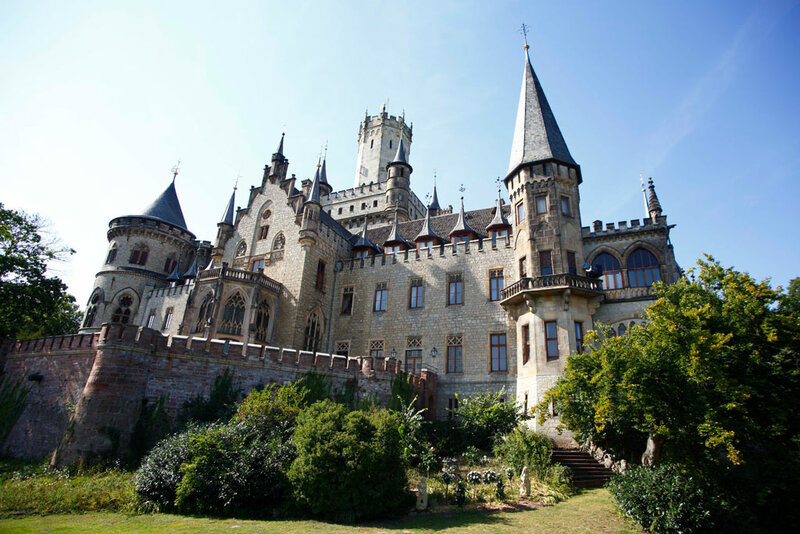 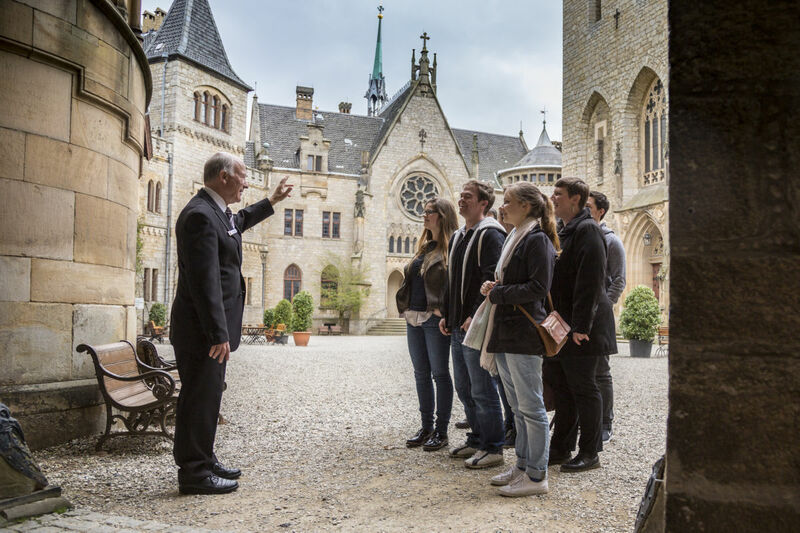 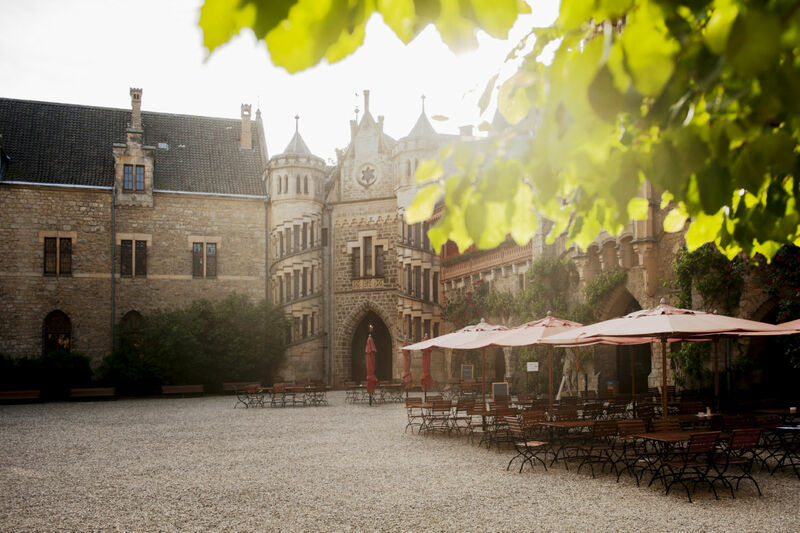 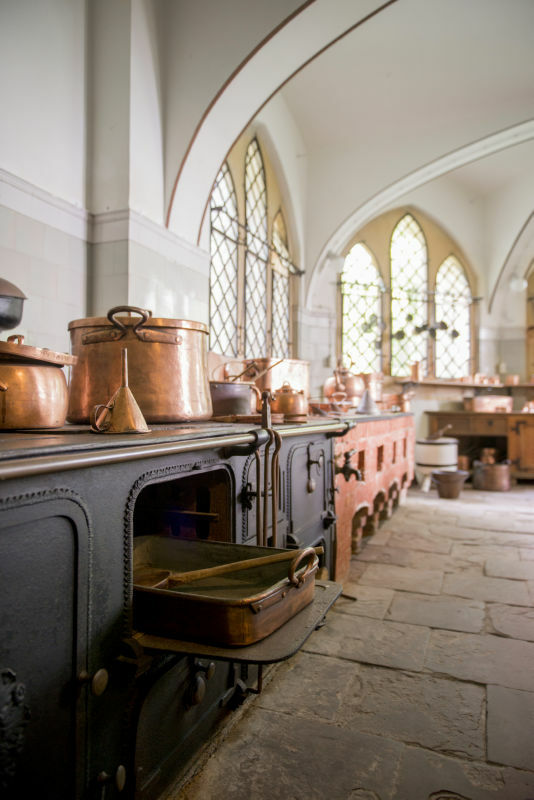 Come and visit one of Germany’s most important neo- Gothic historic buildings, and allow yourself to be carried back to the days when Hanover’s Royal Family held court here. 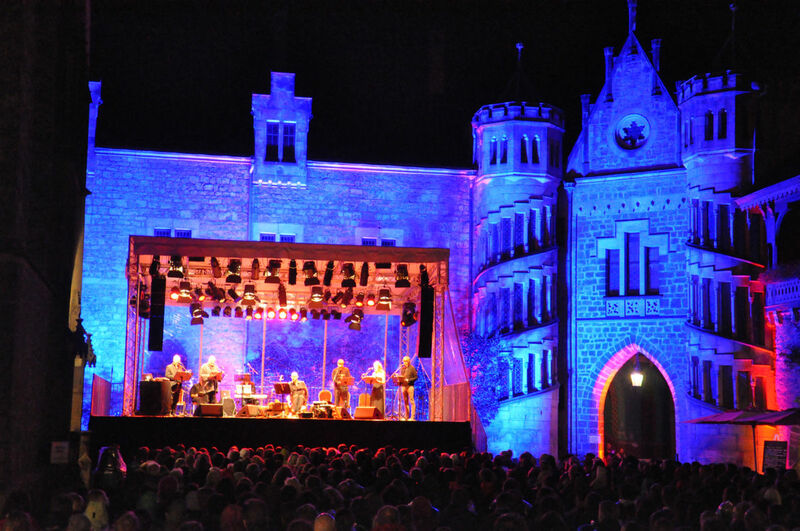 The Castle Restaurant and the numerous concerts and events are attractions that make the hours fly by. 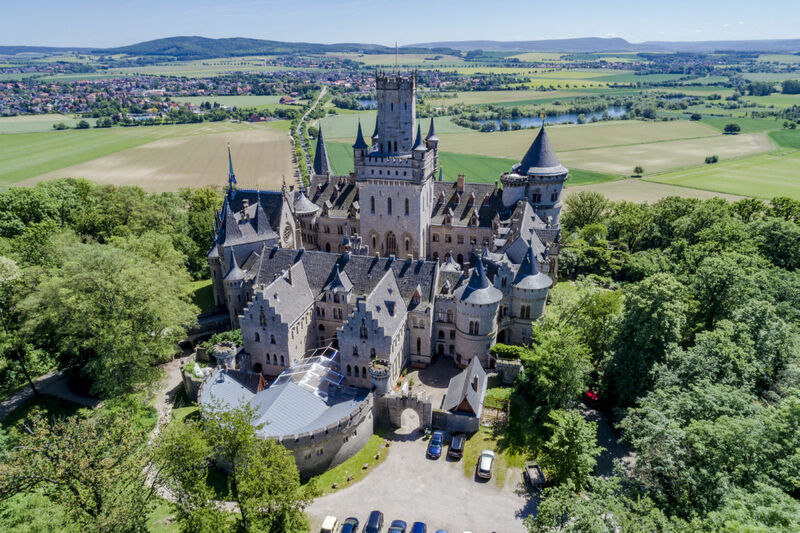 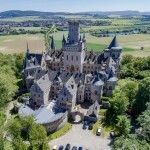 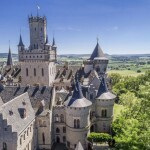 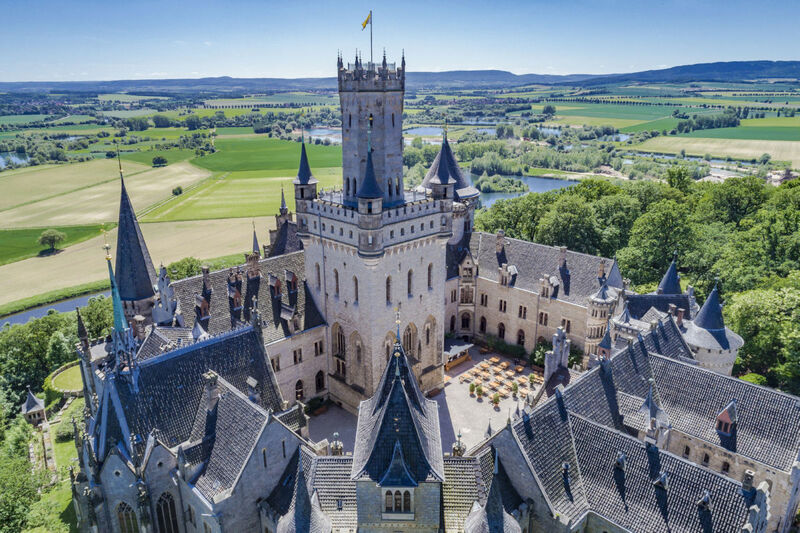 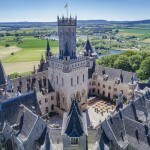 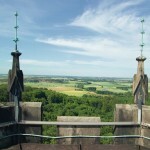 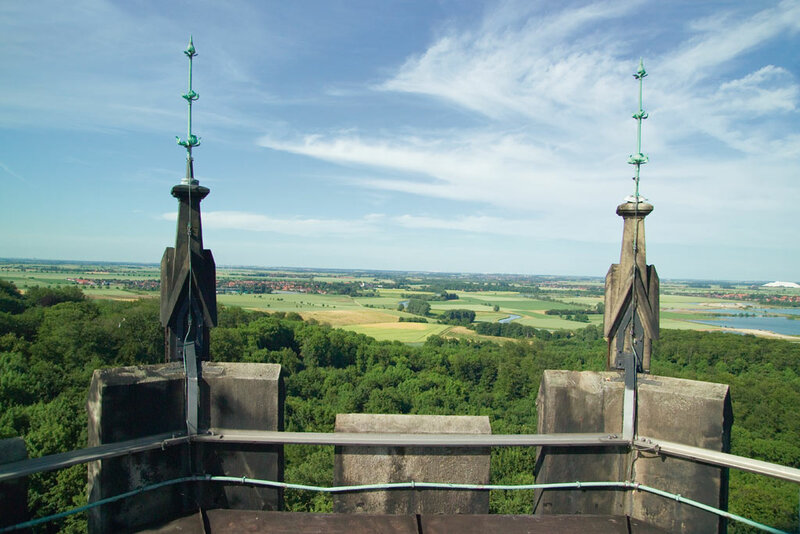 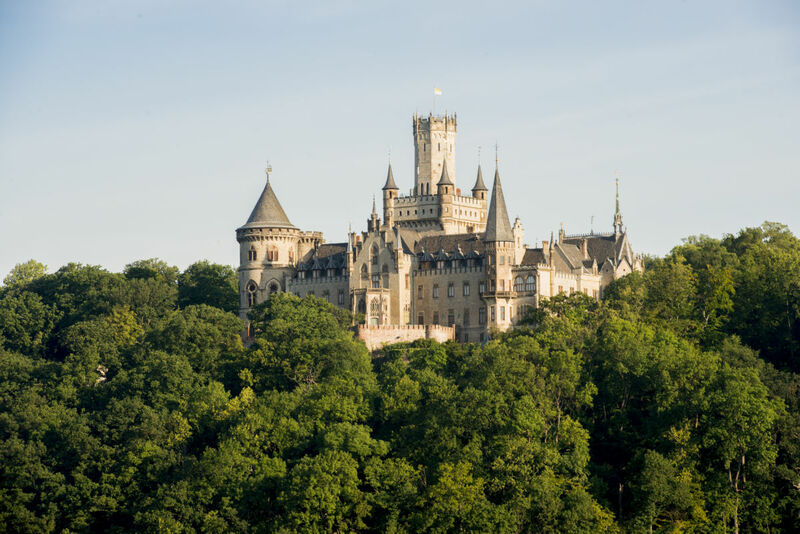 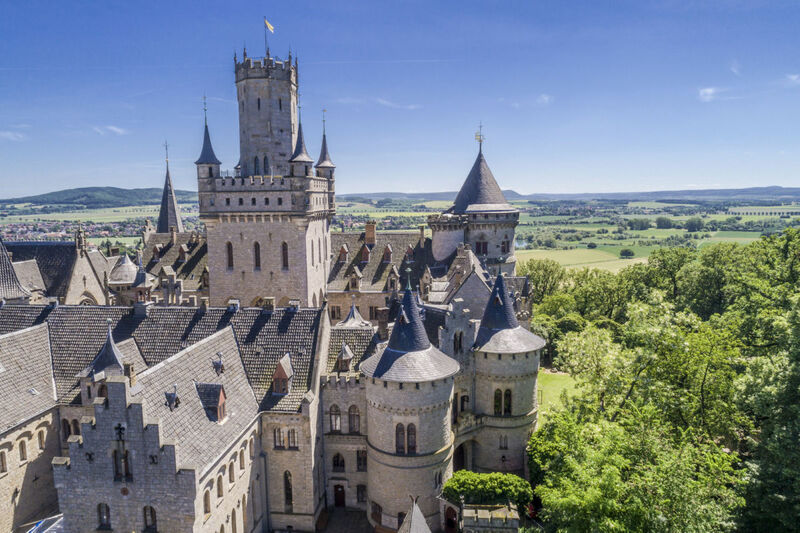 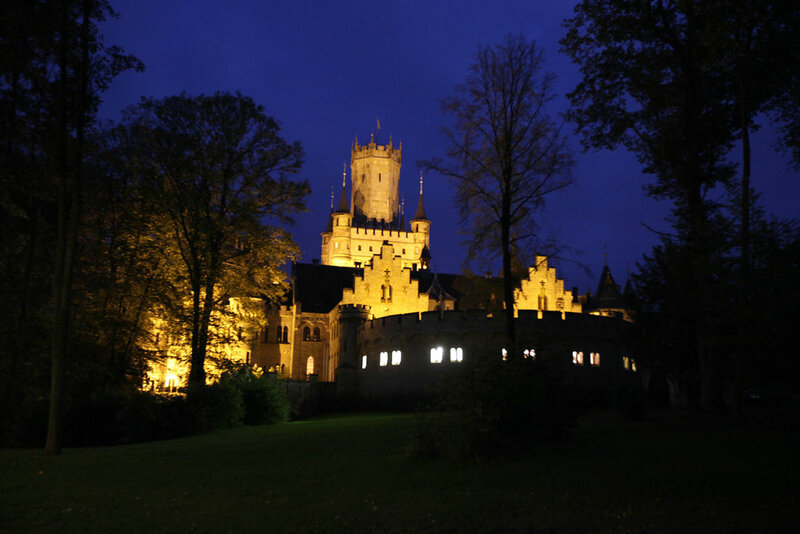 Marienburg Castle, situated around 35 km to the east of Hamelin, is visible from afar, standing high up on the gentle hills that surround the valley of the River Leine. 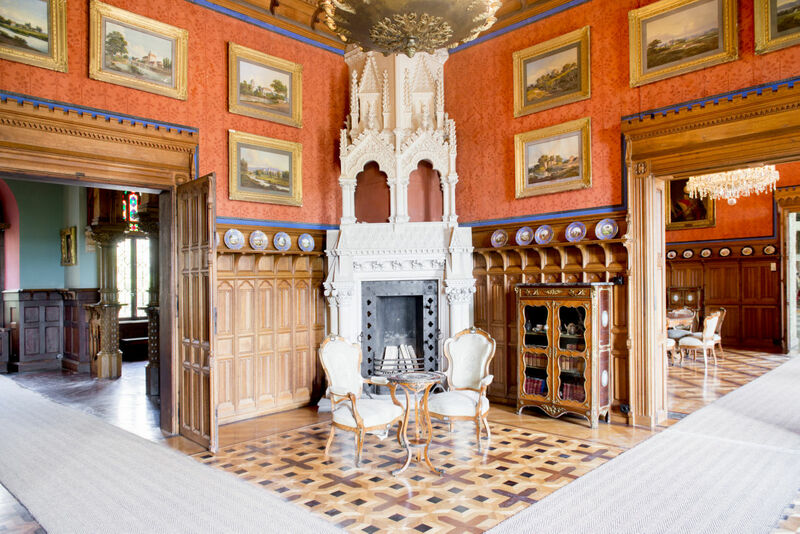 The former summer residence of the Royal House of Guelph – originally a gift of King George V of Hanover to his wife, Queen Marie – is still owned by the former royal family. 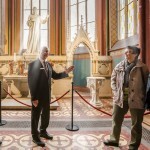 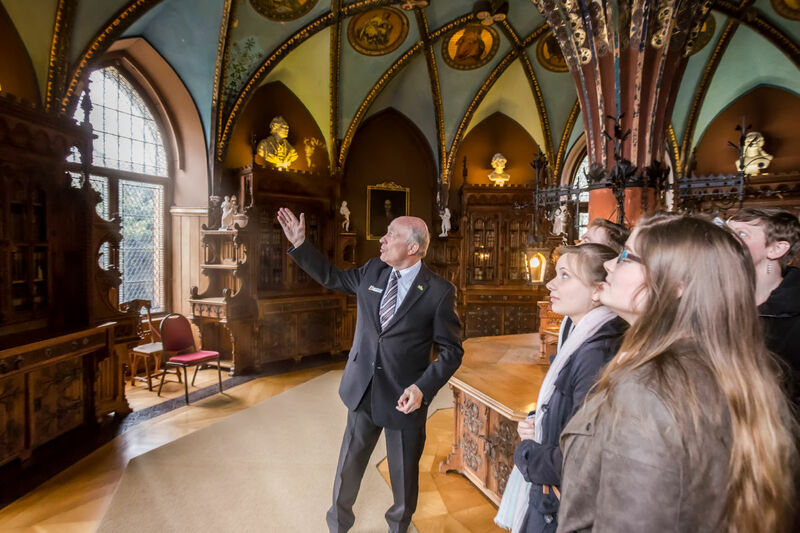 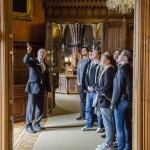 The interior is open to visitors: the guided tour takes one hour. 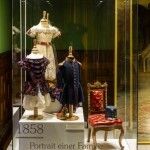 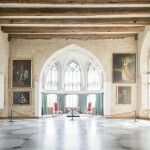 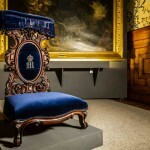 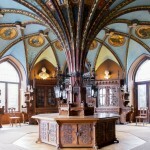 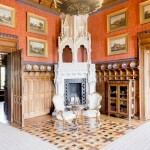 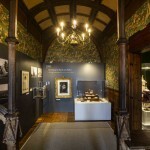 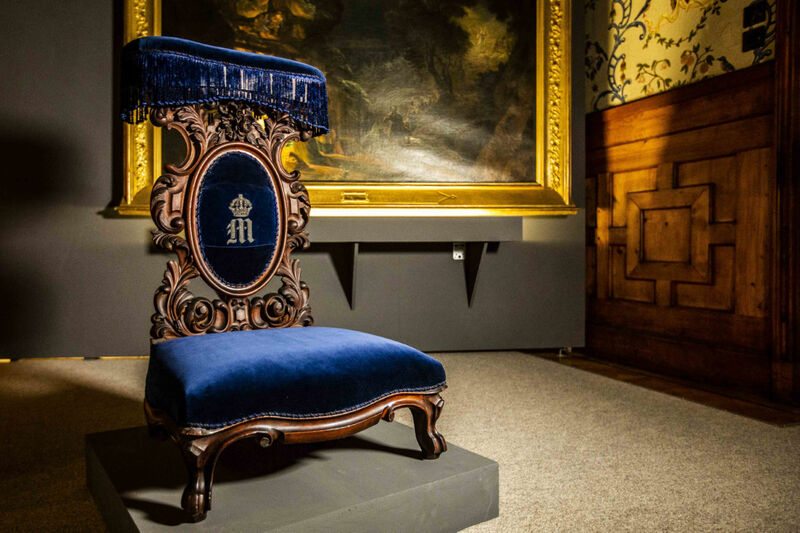 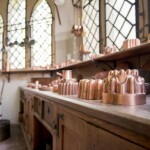 The elaborately decorated rooms with their historic furniture, paintings and objects of unique historic and artistic interest bring back to life the courtly culture of the late 19th century. 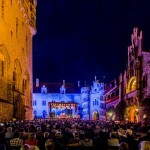 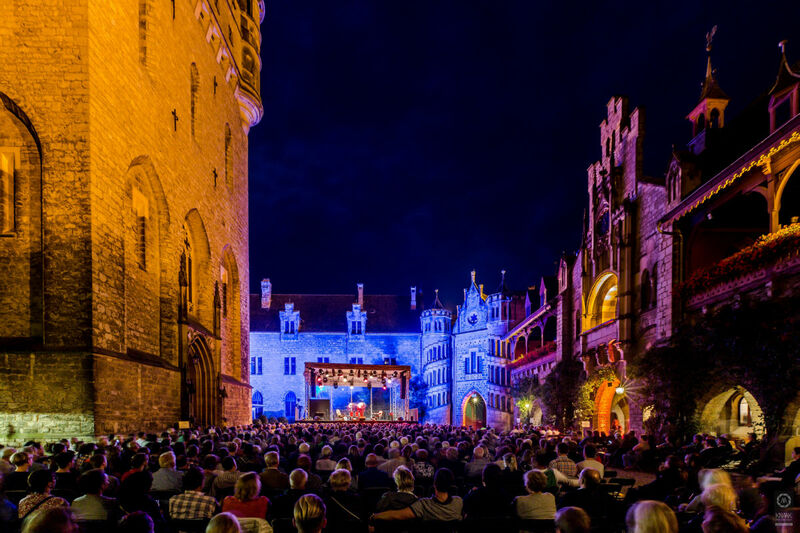 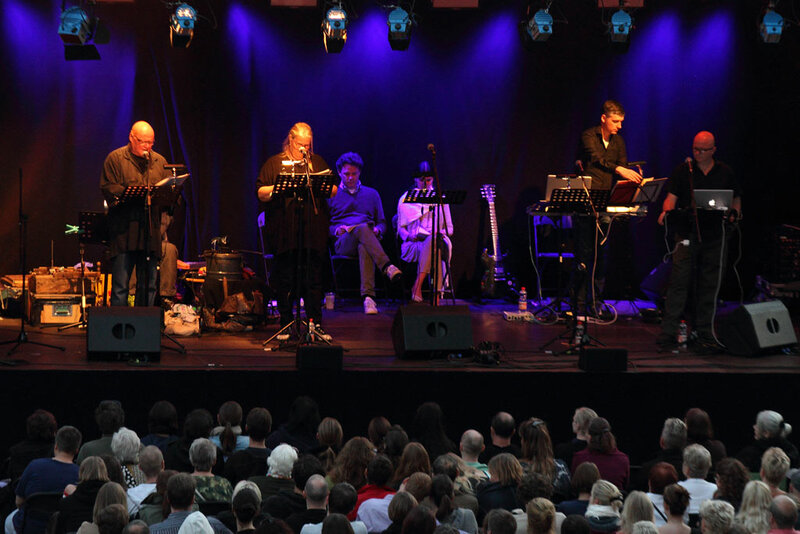 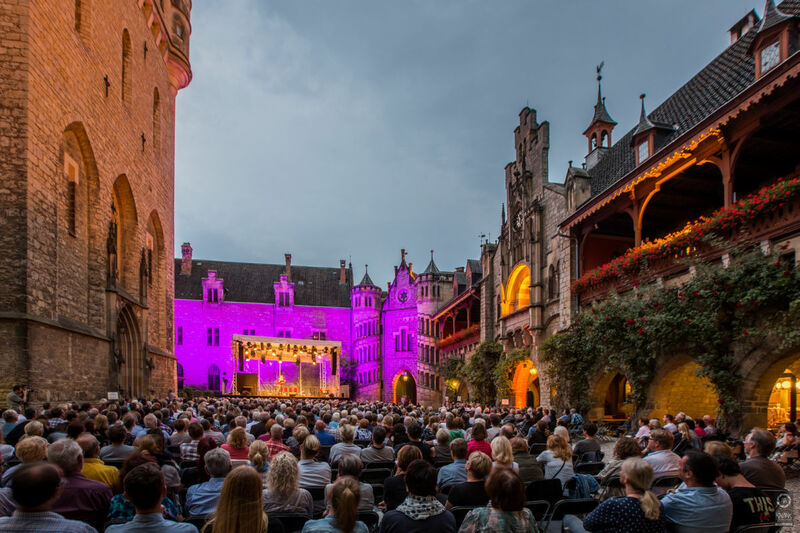 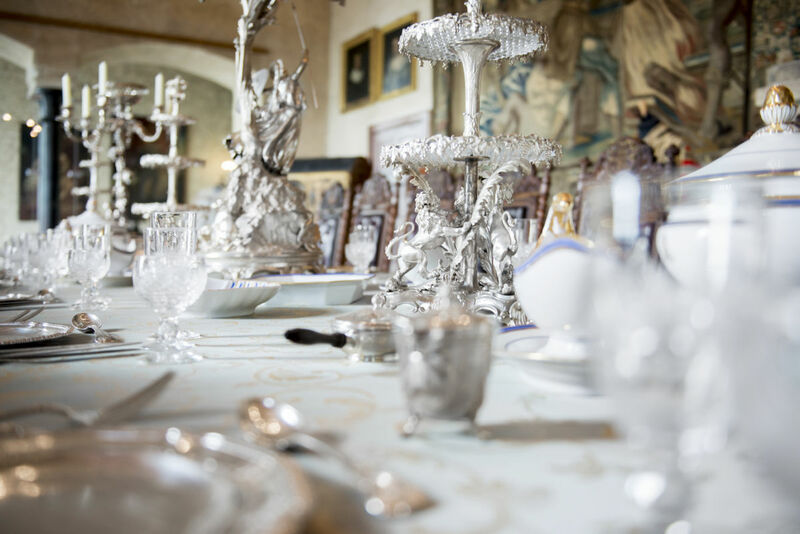 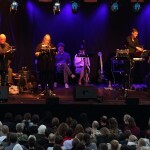 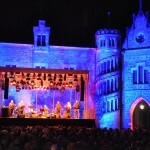 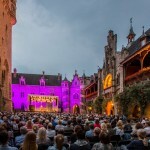 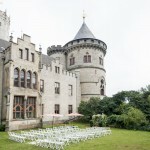 Every year numerous attractive events takes place in the castle: jazz brunches, open-air concerts of classical music or jazz, tango sessions and children’s concerts. 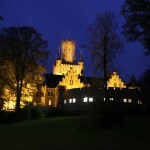 Up-to-date information can be found on the internet. 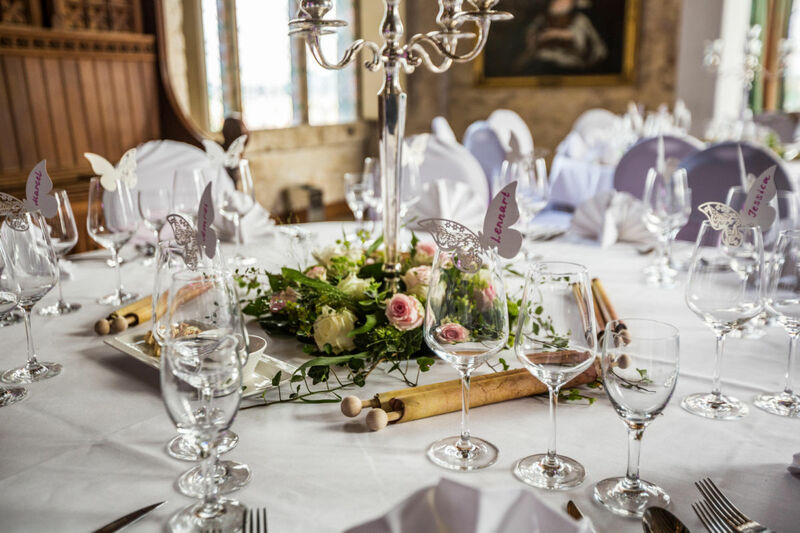 The Castle Restaurant in the former mews and the courtyard offers a great diversity of cuisine in pleasant and historic surroundings. 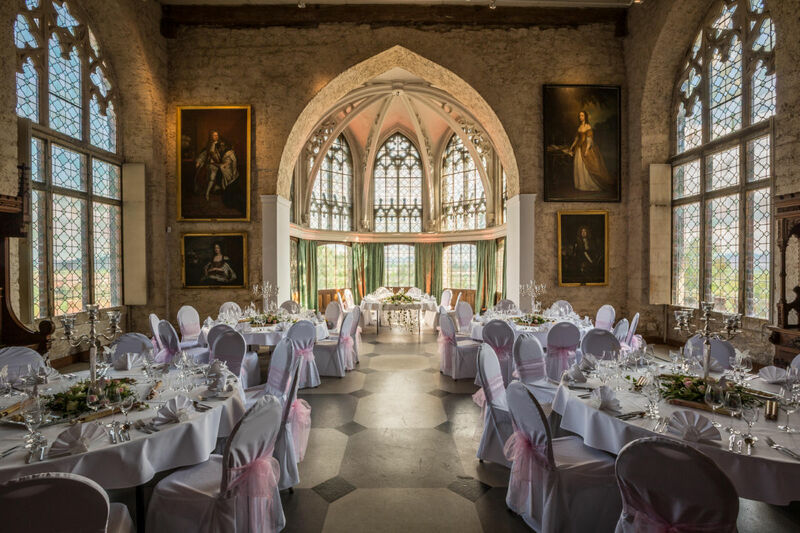 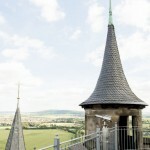 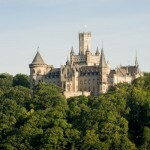 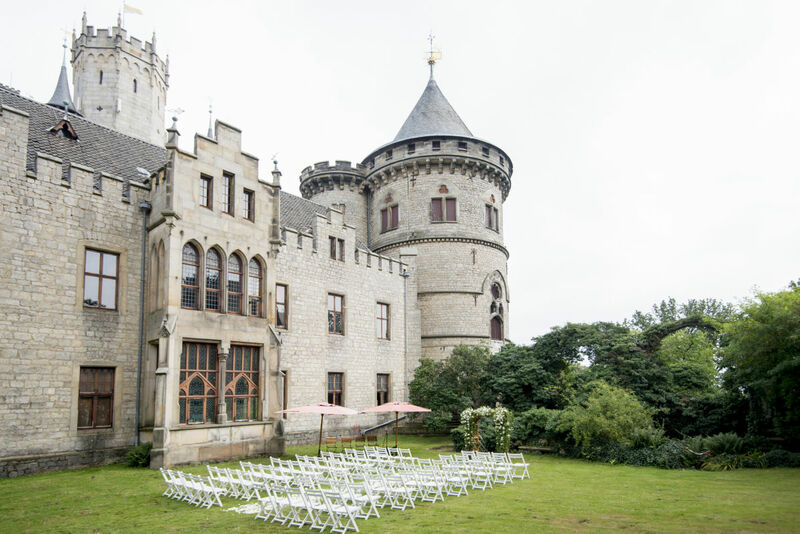 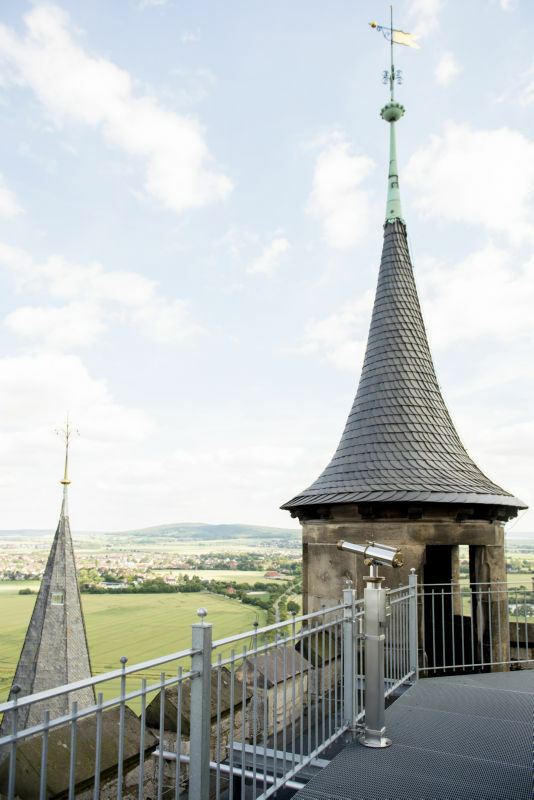 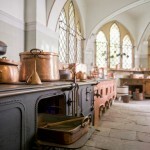 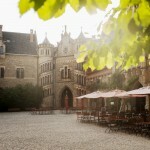 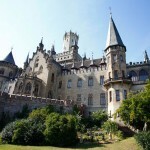 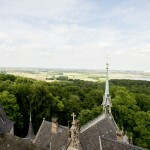 Would you like a church wedding in the fairy-tale atmosphere of a royal castle? 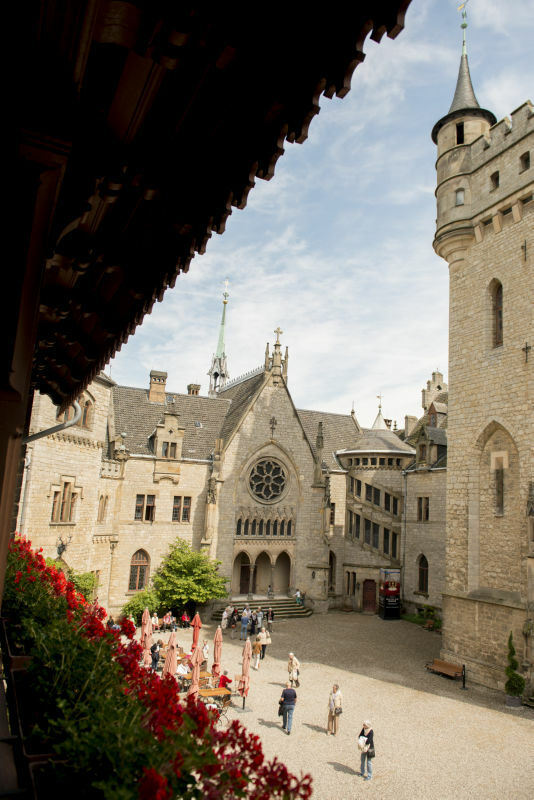 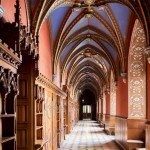 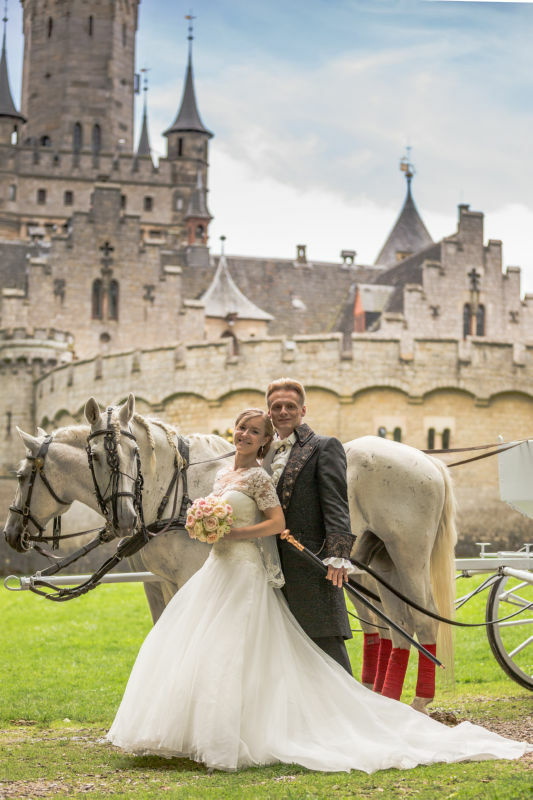 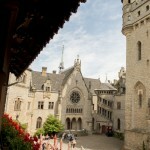 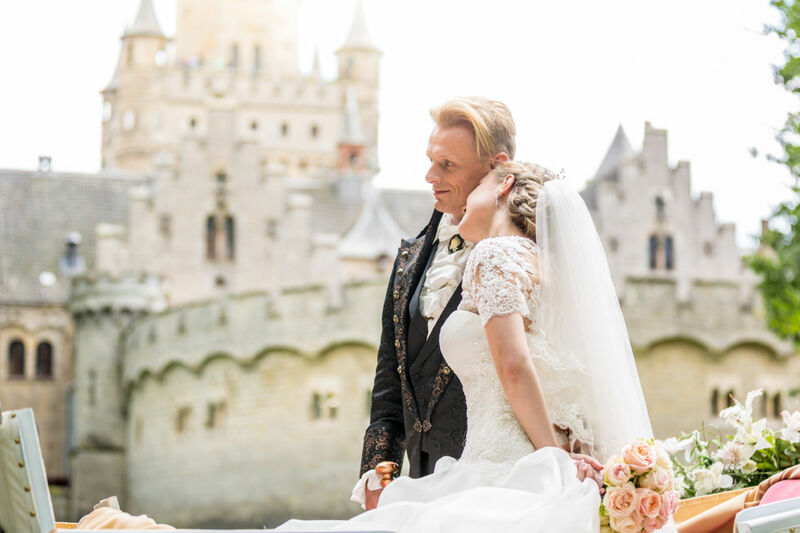 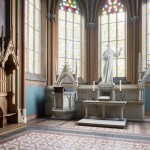 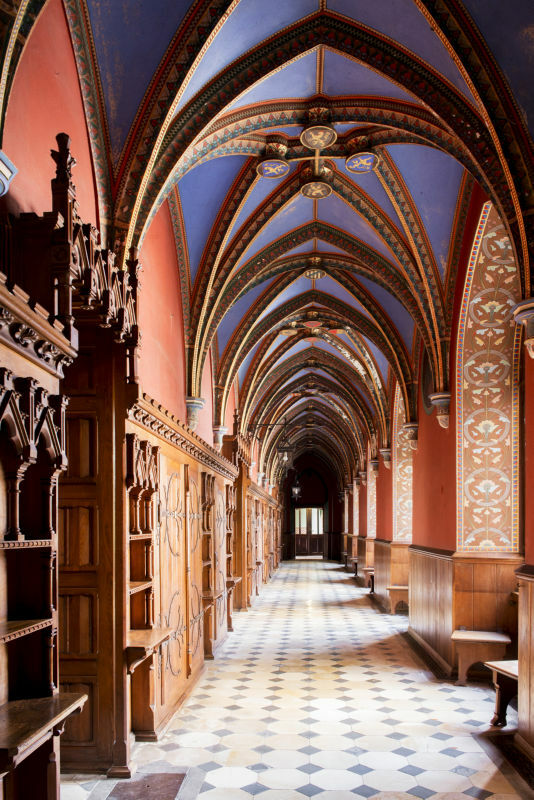 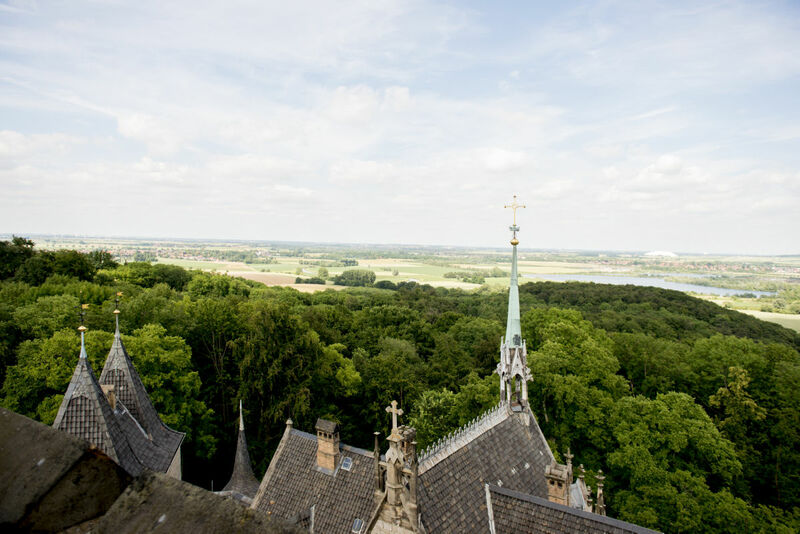 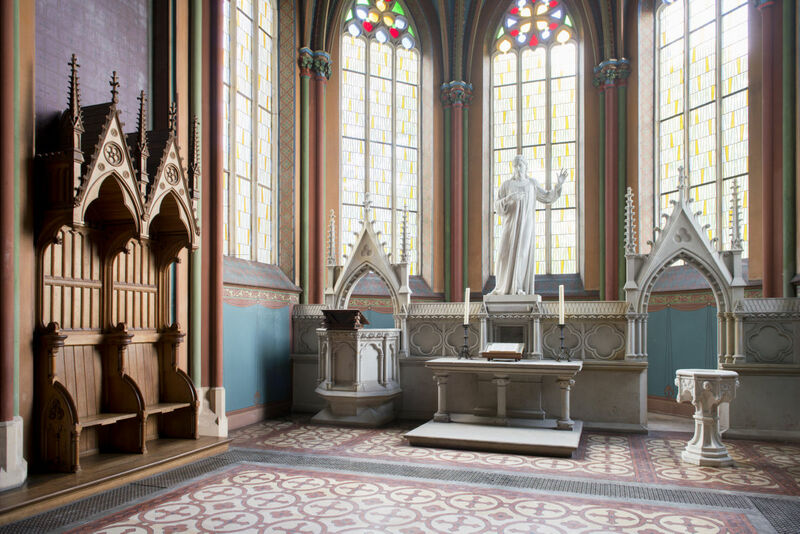 At Marienburg Castle you can get married between May and October in the romantic Castle Chapel, for which the Sainte Chapelle in Paris served as a model. 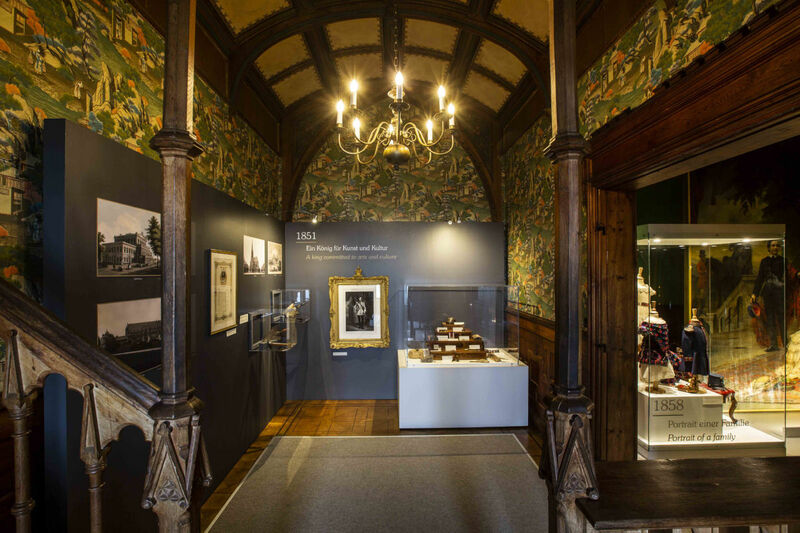 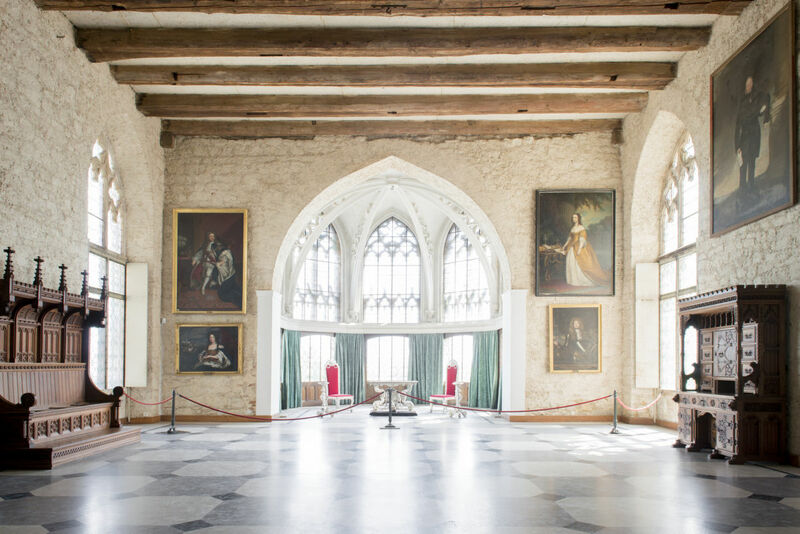 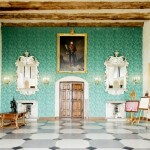 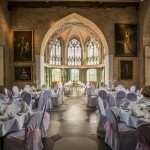 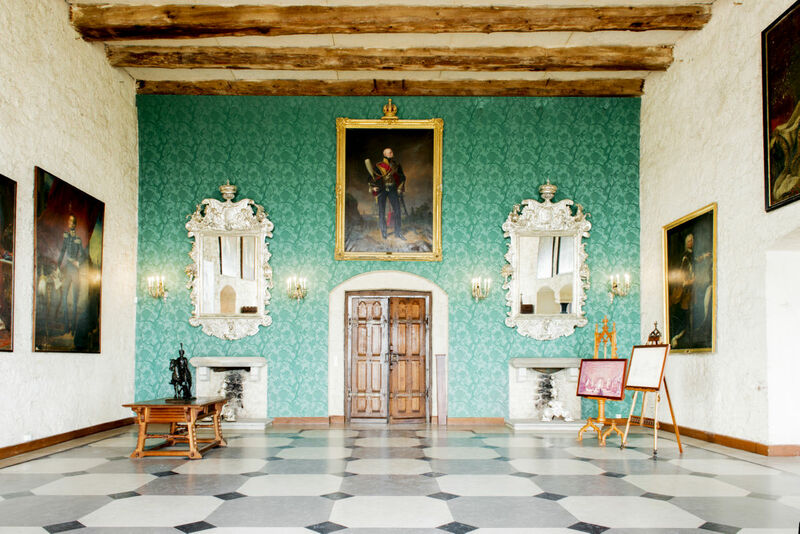 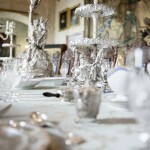 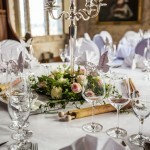 Exclusive rooms in the castle can be hired for parties, conferences and events. 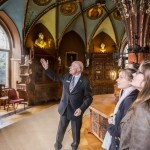 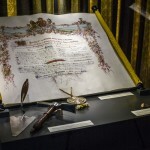 Information on thematic tours can be found on the internet. 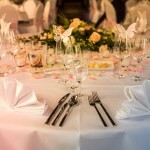 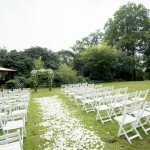 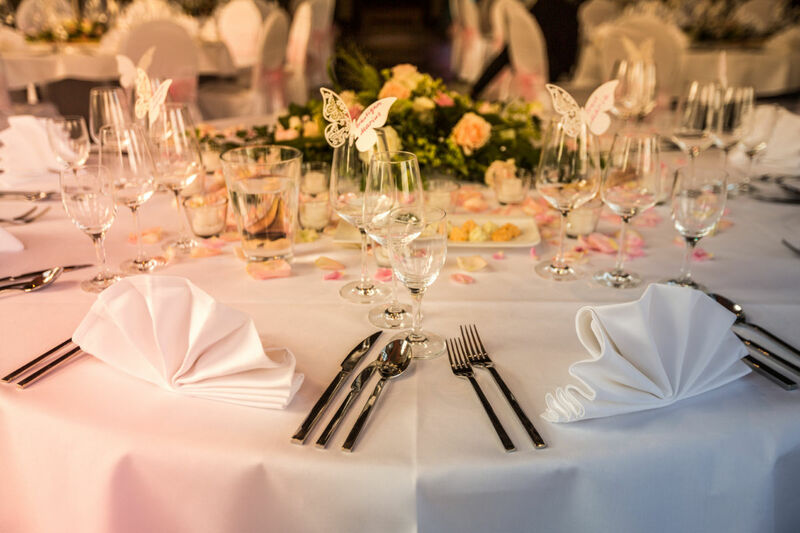 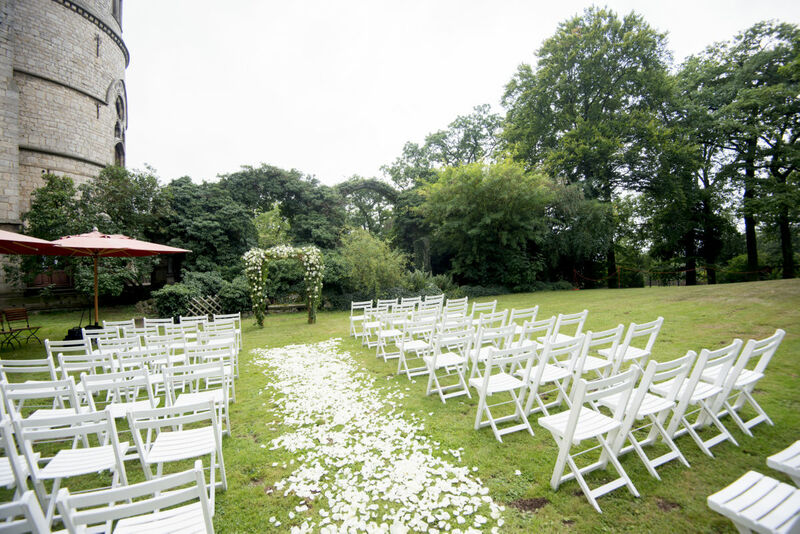 We would be pleased to prepare individual offers for you or your party.